Though called as a ‘talab’ or pond, Rani Talab is actually a water well, and it is significant because it is one of the oldest wells in the state. It is also considered an auspicious water body, as it is adjacent to one of the most revered Kali temples in the state. The temple is believed to fulfil wishes of the devotees and hence a large number of locals and tourists visit it daily. During Navratri and Diwali, grand pujas and fairs are held at the temple. Though the shrine can be visited all through the year, seeing it during these festivals can be a great experience. A visit to the majestic Govindgarh Palace means you also get to visit the many nearby attractions including waterfalls, rivers, forests and more. It was built by the then king of Rewa in 1881. There is a beautiful lake, the Govindgarh lake, on whose shores the palace is built and there are islands built especially for the tourists which add to the beauty of the surroundings. The first white tiger, Mohan, was housed here after it was found in the adjacent forest in 1951. One of the main attractions of the palace is its primitive architectural style and the in-house museum, the Baghael Museum. There are also famous temples in the palace. It is believed that Salim Shah built the fort but left it incomplete and it was the Maharaja of Rewa who completed it. Rewa fort is known as the finest forts in the state and is a proud symbol of the cultural traditions of the state. It is now an eminent tourist spot and visitors can also stay here, as accommodations are available within the fort. A stay here means you get to live in a surrounding that is rich in history and culture and it is a great feeling to live in a place surrounded by such natural beauty. 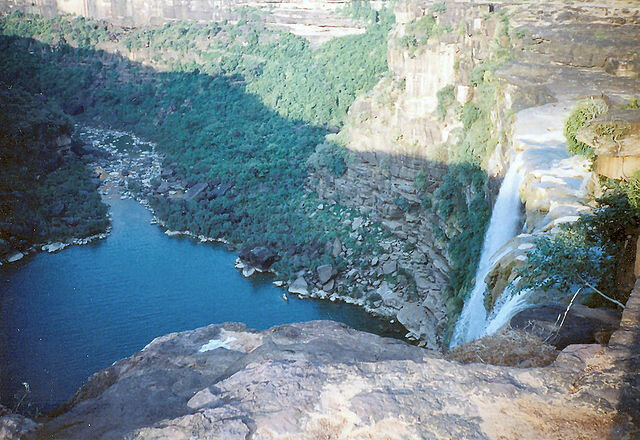 It is one of the most beautiful waterfalls in Madhya Pradesh, located at a height of 70 metres. River Tons or Tamsa is from where the falls originate. You can watch the formation of ‘nick point’ or the breaks in the slopes due to which a cascade is formed and thus the Purwa falls have a very unique water formation. The Purwa Falls are also renowned as a place associated with Ramayana, the great epic. It is a favourite picnic spot for families. Keonti falls is listed at No. 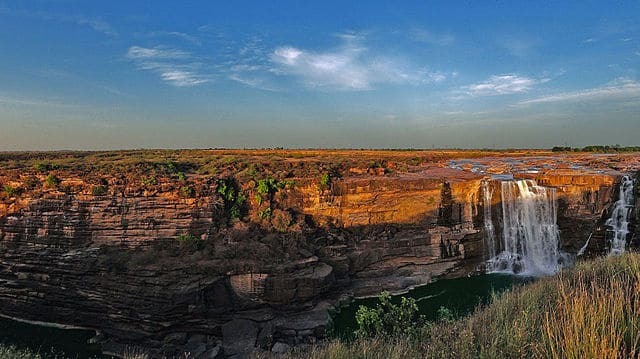 24 in the list of highest waterfalls of India. Mahana river, a tributary of River Tamsa, is the major source of water for these falls and cascades down from a height of 98 m. It also serves as the source of drinking water for the region and for irrigation by the farmers of the area. Since the waterfalls are believed to have been once frequented by Lord Ram and Sita, many who come here also perform rituals and offer their prayers. Since it was in the forests of Rewa that the first white tiger in India was found, Rewa is also known as the ‘Land of the White Tiger‘. Waterfalls, forts, palaces and more, Rewa is definitely one destination that spruces up the energy levels in a travel fanatic.